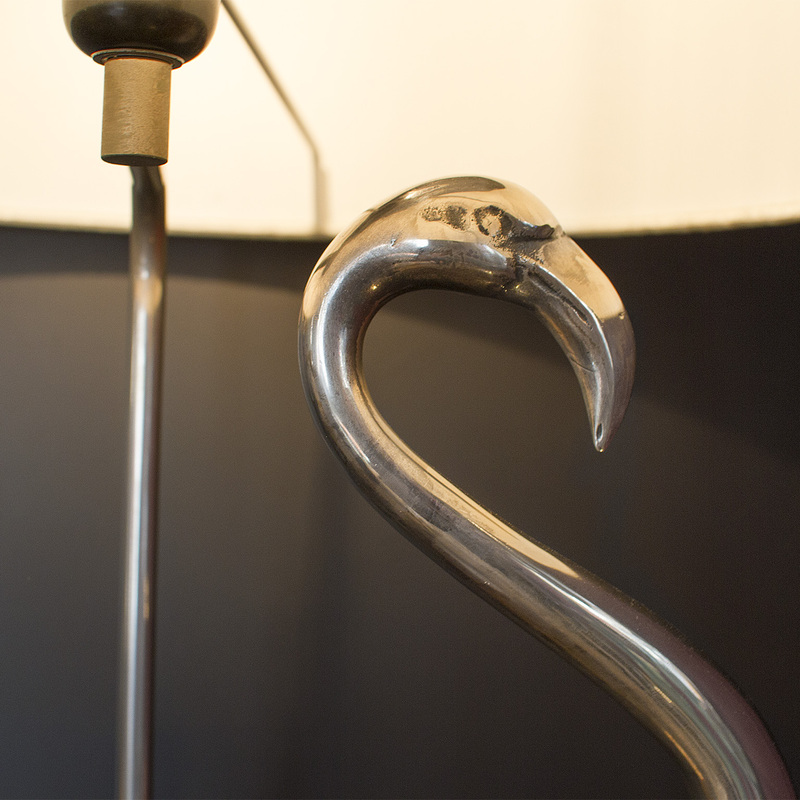 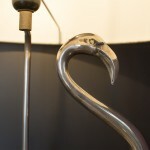 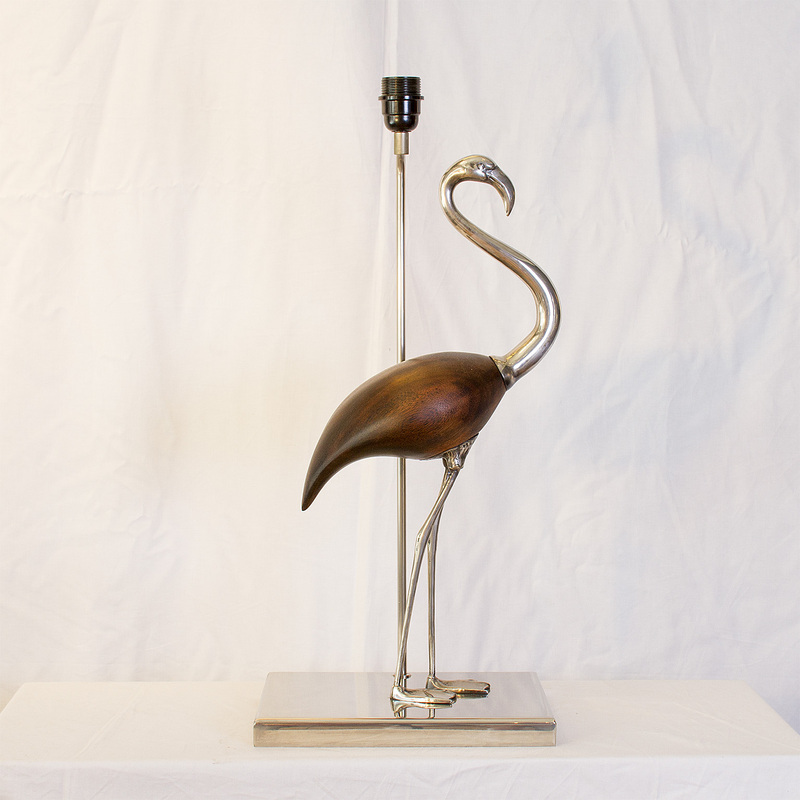 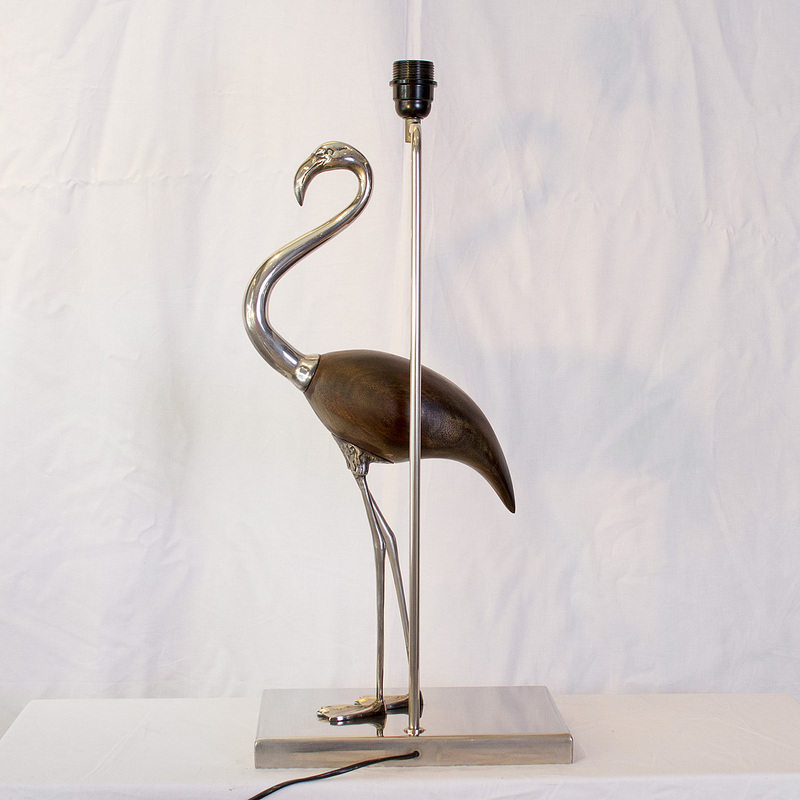 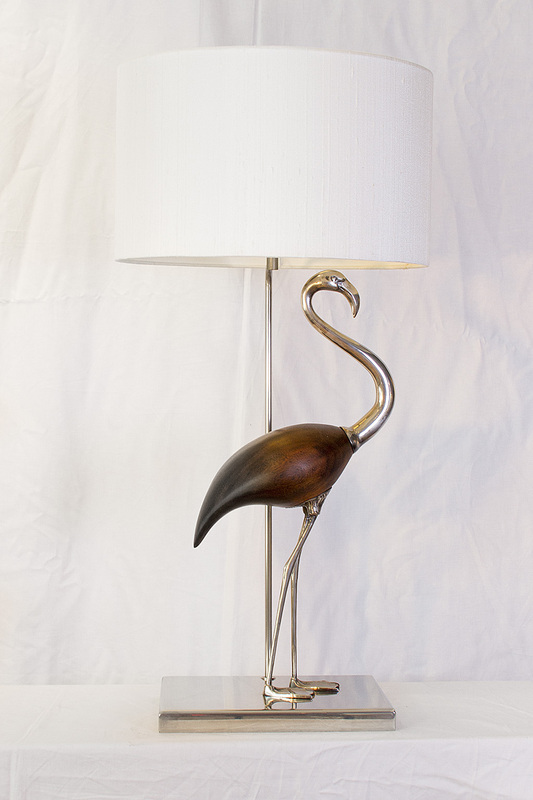 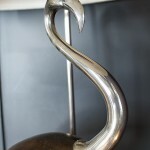 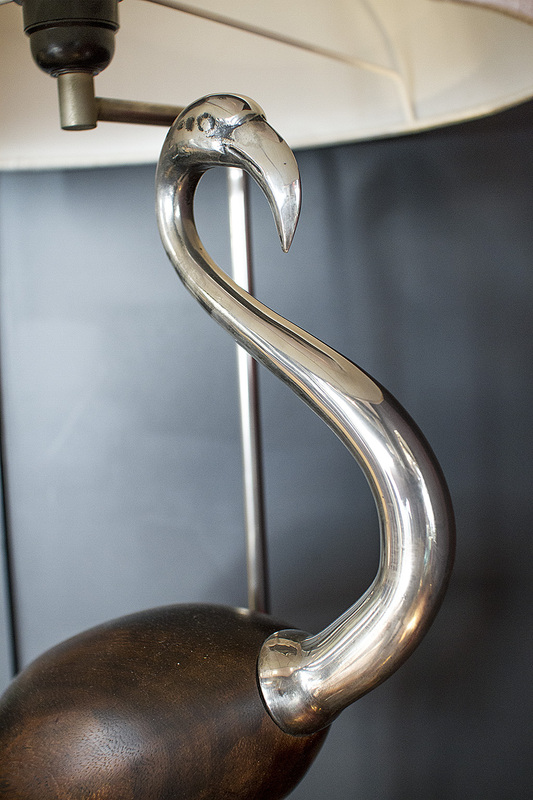 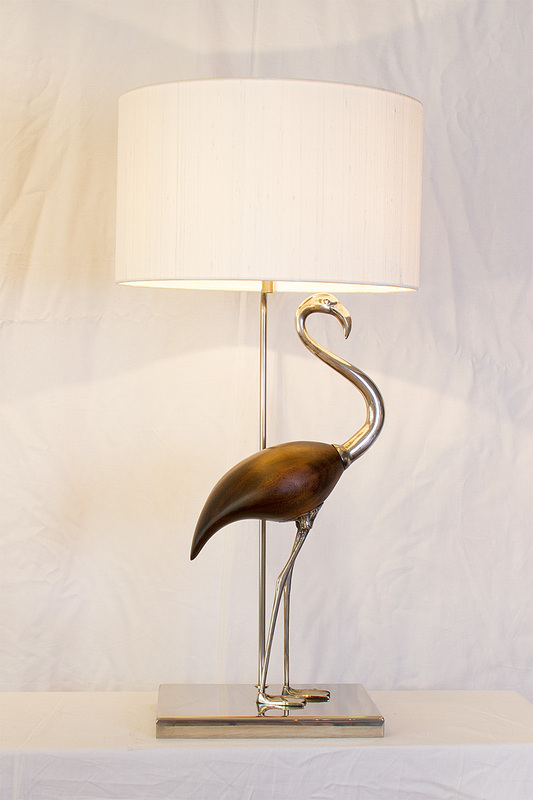 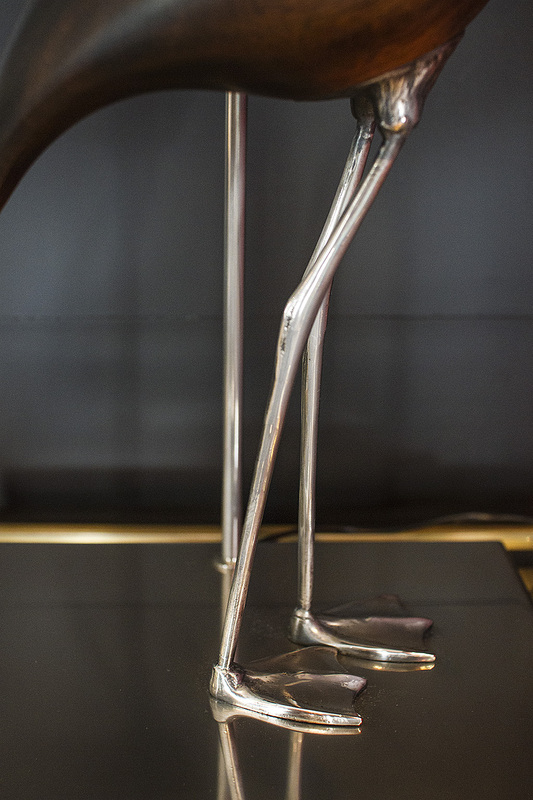 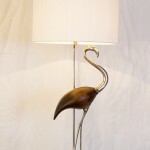 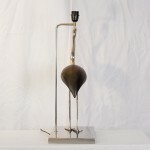 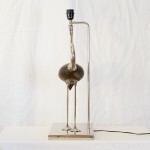 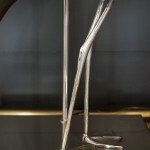 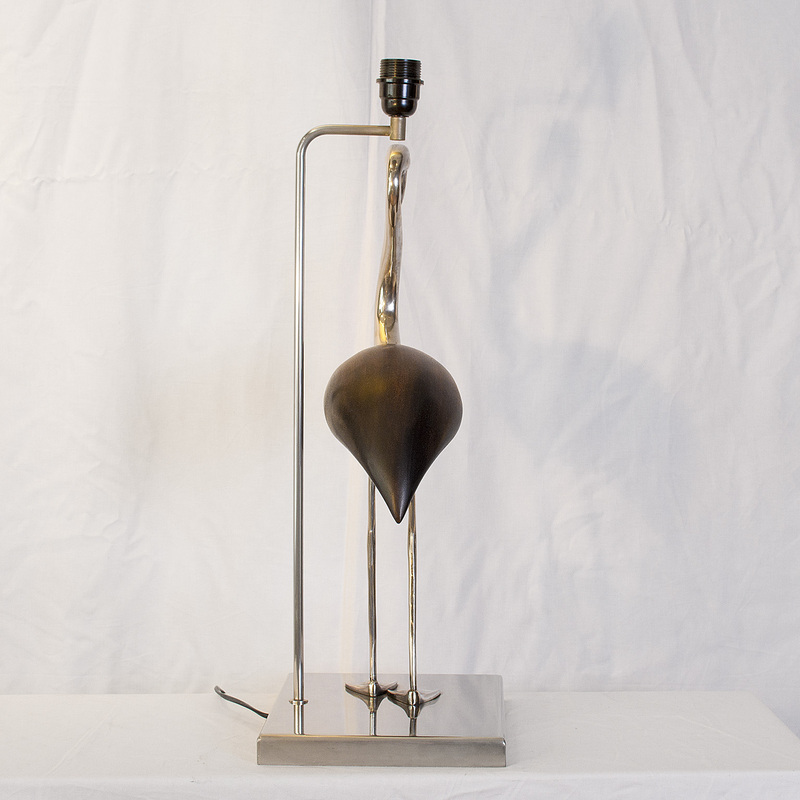 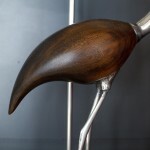 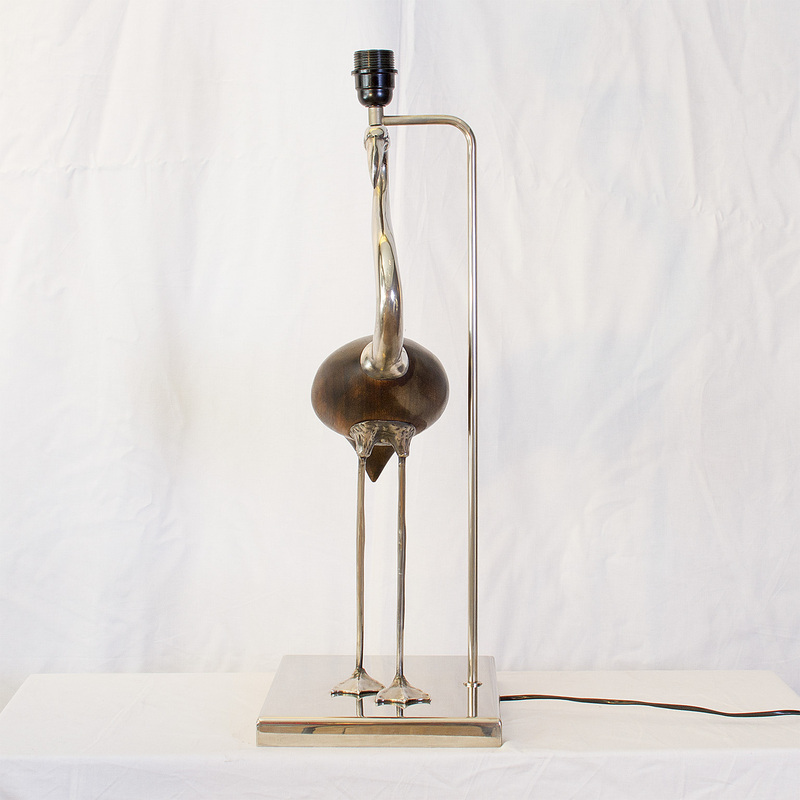 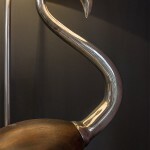 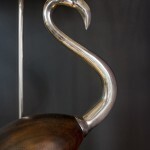 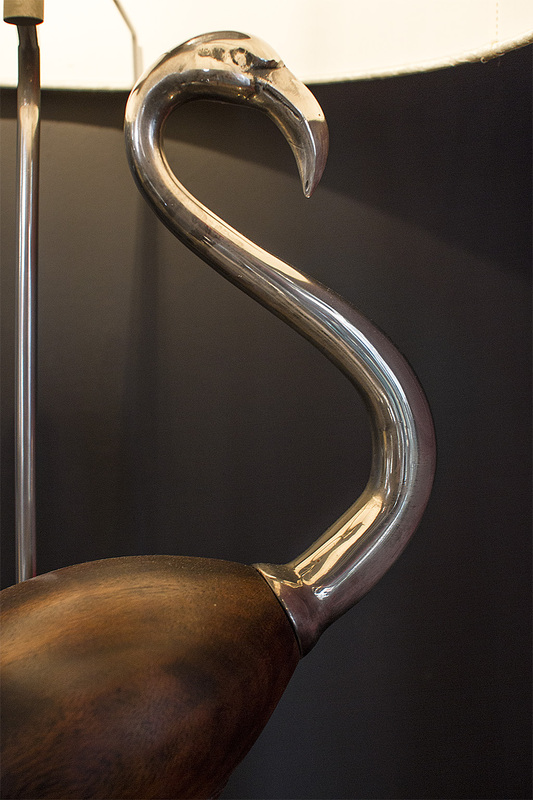 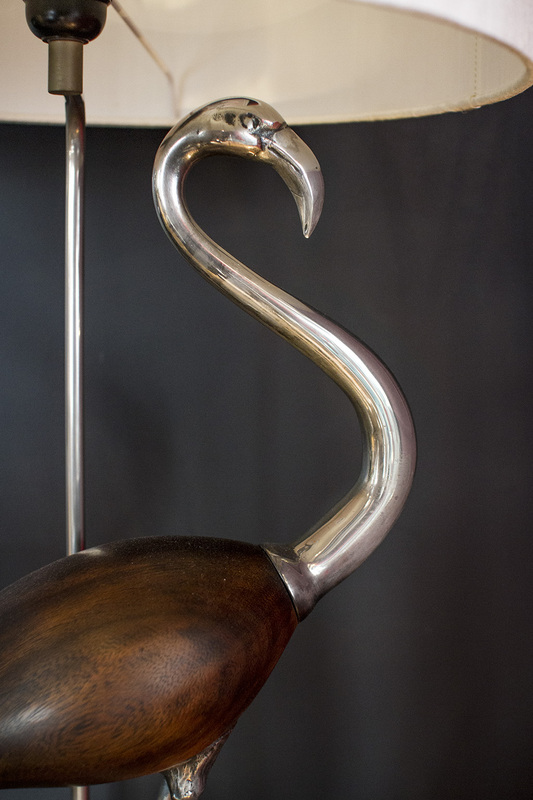 Beautiful and rare flamingo bird wood and steel table lamp. 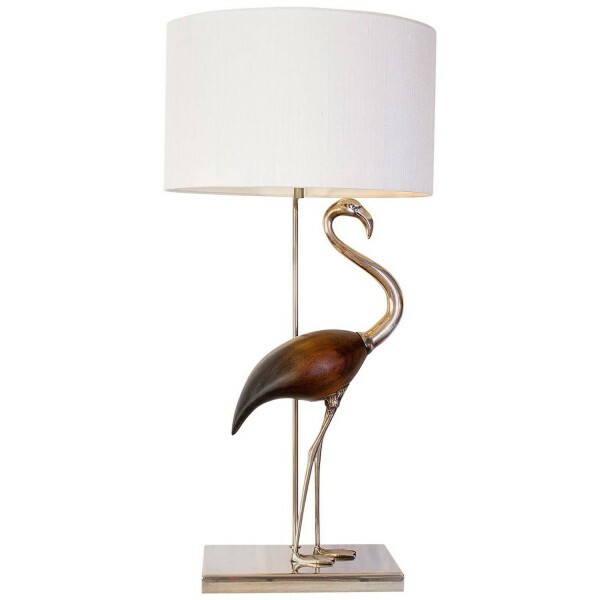 Lampshade not included. 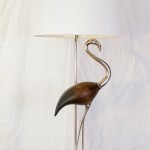 Please contact us for delivery details.